The most frustrating problem when operations like update or restart are done is the screen getting frozen. It frequently occurs that the screen of the iPhone becomes unresponsive every time a specific app is opened, or you try to update any of the existing apps. Display related problems like a stuck, freezing, insensitive screen in addition to the supposed Touch issues on specific iPhone models can unfavorably disturb your total mobile phone experience. In this article, we will discuss few tried/tested solutions to fix some of these screen responsiveness related issues. Before we jump into the troubleshooting methods, it is advisable to know and understand the root cause that triggers the screen freeze issue. The primary way is to identify if it is software or hardware related issue and then drill down as per the requirements to fix the problem. Software-related: Whenever the iPhone starts behaving abnormally without any physical damage being done to it like dropping it off, then it corresponds to a software issue of the phone. It can be a software bug that often causes such screen freeze or unresponsive problems to the iOS device. In such cases, you could check for some un-installed updates that you are missing that offers constancy fixes. Hardware-related: This is very apparent, and the iPhone screen tends to freeze when you drop-off your phone or expose the device to water causing physical damage. In these cases when you have screen issues the most recommended option is to visit an authorized service center to get the problem fixed. Since the iPhone device has an in-built battery, the process of rebooting the phone can be utilized to kindle a ‘battery pull’ operation when the iPhone is insensitive to touch operation. • Press and hold the Side/ wakeup or the Power button up until you get the Slide to Power Off option on the screen. • Drag the power off button to completely switch off the iPhone. • Subsequently after 30 seconds, continuously hold the Power/ wakeup button up until the Apple logo is displayed on the screen. A soft reset is the same way as to starting a computer again and does not affect the data stored in the device. • Press and hold power/wakeup button and either volume button for some time. • When the “Slide to power off” option is displayed on the screen, slide to turn the device off. • Next, hold the side power button until the Apple logo appears on the screen. This should ideally fix the screen issues, and the touch sensitivity should be working fine after the reboot. Every iPhone comes with a variety of storage options ranging from 16GB to 256GB. But that doesn’t mean that you can consume all of the storage space and load the phone with heavy apps. When the iOS device’s storage space is occupied entirely, your iPhone has a tougher time running effectively and turn out to be more unresponsive often. It tends to frequently go-slow or halts. So it advisable to free up space as and when required to avoid such issues. Whereas it may be strange for your new iOS device to run out of memory space, there are a few reasons that might promptly consume inner memory space. All these performance-related issues especially screen freeze can be tagged to memory management. Hence it is recommended to check the storage space and clean it as required frequently. Step 1. Click on the Settings button from the Home screen. Step 2. Next step is to select the General icon. Step 3. And then tap the iPhone storage icon. Here a list of space indicators along with the actual amount of space consumed is listed as per the application name. It is contained in the order of the app that has consumed the most area to least one. Step 4. 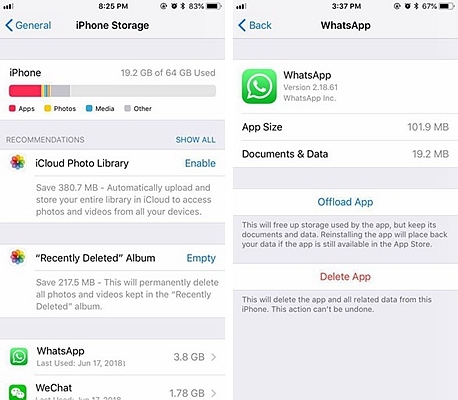 So if there is a need to clean up extra space, you can take away idle apps from the device together with unused apps, old emails, messages, music, pictures and videos. Unresponsive or frozen screen, delays or slowness could be some general indications of performance related issues in the iOS devices. You can try to restore the iPhone using iTunes, but there is a considerable amount of data loss if you haven’t backed it up regularly. 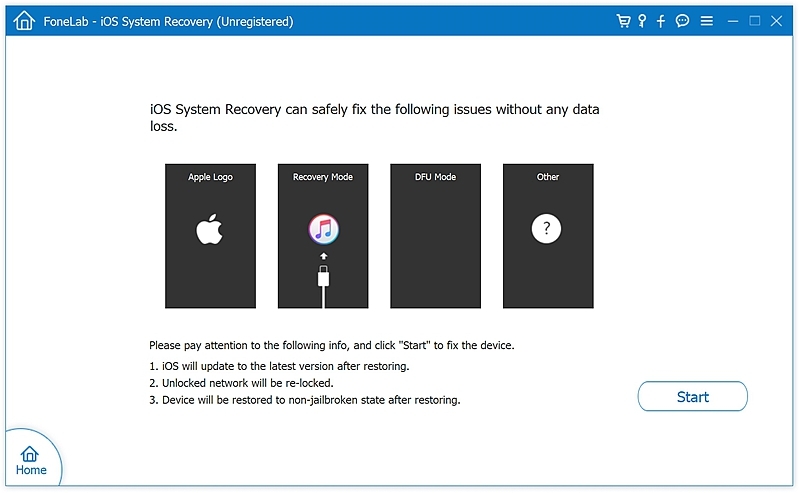 If you do not want to lose any data, the ‘iOS System Recovery‘ toolkits could fix the screen freeze issue without any data loss. 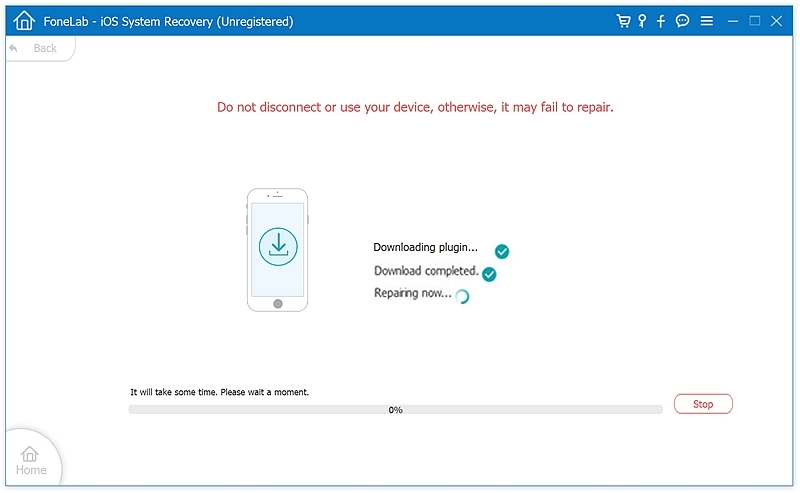 Contrasting to restore your iPhone with iTunes, this tool won’t lead to any unwelcomed data damage. All the data would be well-preserved while the fix is being offered. 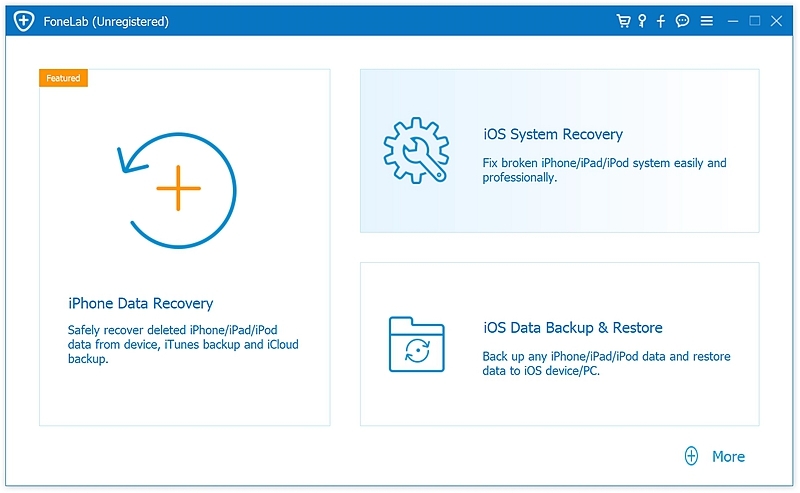 Moreover, the ‘iOS System Recovery’ toolkits fix multiple issues like screen freeze, screen loops, black screen, etc. It is harmonious with all types of iOS devices and the latest iOS version as well. Step 1. Download and install the highly rated toolkit. 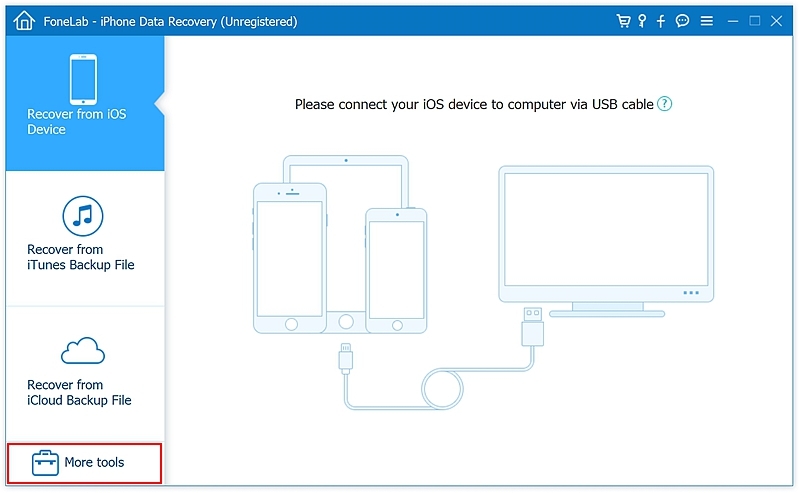 Click ‘More Tools’ and select the ‘iOS System Recovery’ option from the home screen. Step 2. Connecting your iPhone to the computer and click on the start button to proceed with scanning. Step 3. 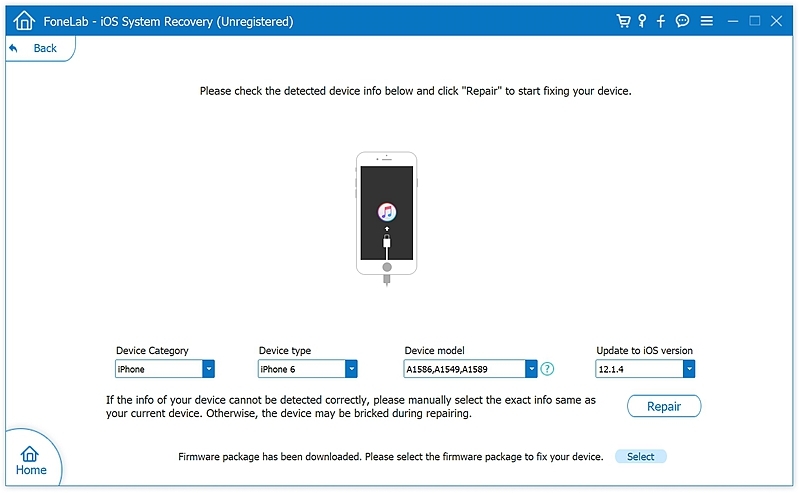 Your device is automatically detected, and the possible issues are listed where you can choose the relevant one and apply the fix quickly. The software will choose the firmware to fix your iPhone. Click ‘Repair’ to move on. Step 4. Begin to download and reinstall the iOS firmware to unfreezing your iPhone. By using these simple steps, you should now be able to fix the iPhone frozen screen issues easily. Mainly most of these bricked iPhone related issues are simple to set. If the problem persists, it is recommended to visit the Apple service centre to get the issue fixed without voiding the device’s guarantee.